We are also moving. Moving is an evil word for me. Since leaving my childhood home at 19, I have probably moved about 40 times in my 51 years. Various circumstances: finances, bad roommate situations, roommates getting married or moving, the list goes on. My heart has always longed to settle and lay down roots in one place, and I thought with my marriage in 2007 and actually buying a house, that I was finally at that place where I wouldn’t have to move again for a long time. As John Lennon said, Life is what happens when you’re making plans. Suffice to say, we lost that house, and ended up moving two times before being plopped in Atwater Village in 2011. The actual city of Los Angeles was the last place we thought we would find ourselves, and we both assumed it was a “make do” place, just a place where we could—hopefully quickly—get back on our feet. Quickly didn’t happen. We have been here almost 7 years; but despite the hardships, fits and starts, and living among boxes and toxicity (a blog post for another day), something was being built. We loved the new Northeast Los Angeles community and all the fun haunts, events, and eating places that made this city seem less plastic and more human and community-oriented. We found a wonderful new church where we could get to know others more regularly and let them get to know us. Thanks to CorePower Yoga opening a studio in Pasadena, I found a location close to home where I didn’t have to hop a freeway to practice Yoga or to teach. So lots of wins in the midst of what was a hard season of waiting and testing. So now, we get to move again. Another place where we never saw ourselves: the city of Pasadena! Our address is on Wesley; named after the theologian Charles Wesley, but also the name of one of my favorite nephews—so that’s a good sign. We are further east from all that we have known in the past, but still close to some of the things that we hold dear: our church, my work, and new adventures in a new community. It is a place of blessing, from the way it was delivered to us, to the favor we have received from the landlord, to our church communities and friends rallying around to help us in a multitude of ways, financial and physical. It is a place that we can hopefully settle for a spell. I have no idea how long that spell will be—I learned to stop putting time frames on things after the horrors of 2008-2011. But what is true, and what I can count on, is that it is a place of space (two bedrooms and storage–whoo hoo! 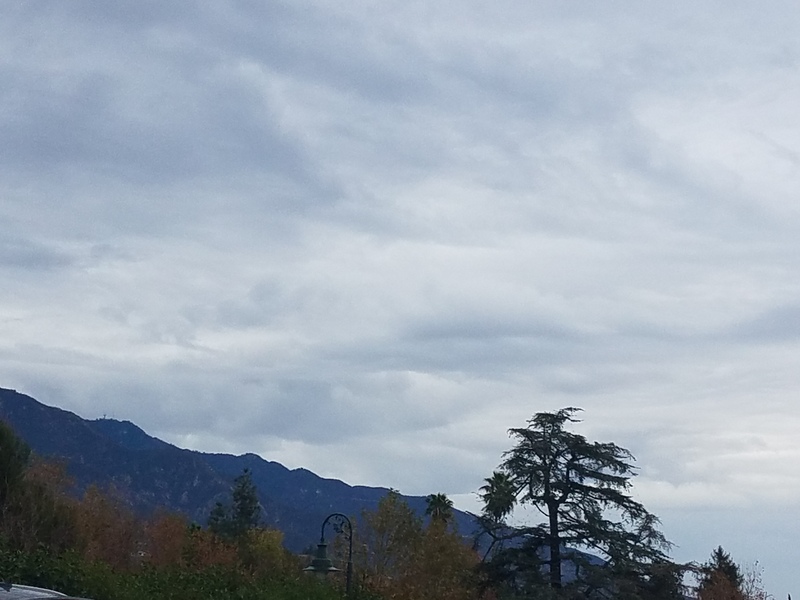 ); a place of ease (4 miles to my Yoga studio, less than 2 blocks from the Pasadena campus of our church); and a place where we can find peace and quiet in our surroundings, yet still have the hum of community, events, and some city amenities. In the two weeks that we have been packing and moving, I am quickly falling in love with Hastings Ranch, since we’ve spent so much time there finding the things we need for the new home, as well as some of our favorite casual dining haunts. “My help comes from the Lord, the Maker of heaven and earth. There are no coincidences in our lives. The fact that I have a mountain view is part and parcel of God’s reminder for me to continue to look to him for help. It is also a comfort that he will keep our footing in this new territory and watch over us here, no matter how long or short the spell will last. We still have some odds and ends and large furniture to move, and I am knackered beyond belief. Week 2 of Teacher Training begins today, so I am still on and working hard to ensure these great Yogis are set up for success. But I am grateful for God’s hand in all the things; and that despite my desire for speed and efficiency, he is building something more enduring than I could imagine. It was curious to have Valentine’s Day and Ash Wednesday happen in the same frame, but apropos, since the greatest gift of love was Christ’s road to suffering, which commences with Ash Wednesday. Husband is neither a romantic nor a planner, so this day passes by like any other. I taught my two Yoga classes at CorePower Sherman Oaks, and did my own body love and maintenance by taking a special “Love” themed class featuring Beatles music at CorePower Pasadena. Sweet Brit, the assistant studio manager at Pasadena ably led the class, and sang a beautiful rendition of “Let it Be” while we were in Savasana. I got a rose and some delicious juice treats from KoJuice. The rose is stunning, and blooming happily on my kitchen table. Then the husband and I attended Ash Wednesday service at the Montrose Church Pasadena-Bresee campus, and received our imposition of ashes. I never feel as though I am very focused during this season because life always seems to be whooshing by at a pace that doesn’t seem to encourage stillness and reflection. I am gearing up to lead another Teacher Training in a week, and we are also moving (finally) to a new home at the end of the month. Sad to say, I feel divided, and consumed with everything else but Lent. Which is why I love the devotionals I get from Rick Savage, one of the care pastors at Montrose Church. Starting with Ash Wednesday and going through Easter, each day gives a minute focus for the day, and a global focus for the season in bite-sized portions to which I can commit. I figure this Lent I can work on taking on a more spiritual focus rather than giving up something tangible; so I’m committing to more time with devotionals, and more time in the word. Believe it or not, I am a horrible devotional person. People give them to me as gifts, I start one, and after a couple of months, never pick it up again. It’s a rhythm that has never stuck well; so I figure it is a worthy goal in which to commit to help me to turn inward and delve more deeply. Pastor Rick’s Ash Wednesday’s devotional encouraged that the path of Lent is a journey inward, and turning our eye and ear to what God is doing is pivotal to being a part of it. Today’s devotional, addressed my feelings or overwhelm and chaos, even with just simply doing my job and maintaining life. Listen and learn. Makes it seem less difficult than this season sometimes appears; makes me feel less guilty about my own inability to jump into the season with both feet. It’s okay to dip a toe, or wade, as long as I come to the water consistently and get wet. Along with the Lenten devotionals, I was also invited by an online friend on the Bible app to do a 31-day devotional on Wisdom, taken from the book of Proverbs. Accountability is a good motivator for me to stay consistent, along with the fact that it’s nice to be chosen to be included in something. So I accepted, and dipped in. Today’s devotional talked about the teammates of Wisdom: Love, Faith, and Trust. I was struck by how it expressed Love’s role in partnering with Wisdom. It brought me back to the reality that I would not seek Wisdom if I did not love the God who gives wisdom liberally, and does not withhold (James 1:5), and if I did not want to please him and walk in his ways. When you seek to please the beloved, wanting to know his mind and hear his voice is a part of that. So even in the midst of my chaos and juggling, I guess I am still seeking the way and choosing the journey. Tuesday was packed to the brim with goodness: the goodness of beautiful lady mentors, beautiful Yoga, and delicious food and drink! I jetted out the house earlier than usual so that I could meet Dr. Beth Chamberlain at Peet’s Coffee in Pasadena’s South Lake area. Beth is the wife of Pastor Scott Chamberlain, the campus pastor at Montrose Church Pasadena-Bresee. She is a very beautiful soul, with the most gorgeous eyes that drip with awareness and compassion. She is the type of person that I would like to be: someone who has such an incredible weight and presence that you are content to just be around them. I also admire her and Scott because, like Hermione and Samuel, they adopted two children that were not their own. The Chamberlains pastored in Skid Row for many years, and took on the care of two African-American boys connected to their mission, and raised them along with their own two children. That really does take a special kind of heart, and speaks volumes of who Beth and Scott are as people of God, and humans in general. I wanted to ask Beth some insightful questions to get to know her better, but like the skilled counselor that she is, she turned it around and asked me some very deep and thought-provoking ones. So I talked about everything from my childhood in Chicago to my best and worst birthdays to date. It was all too short for me, but Beth had to get to her office. So we hugged, took a selfie, and she was off to the rest of her day. It’s been six years since I’ve had a traditional job, and I’m always reminded how blessed I am that I don’t have to do that any more. Since I was already in Pasadena and had to teach at noon, it only made sense to get in a 9:00 a.m. C-2 with Miss Alexandra Johansen! Ali Jo is our beautiful, Amazonian, North Los Angeles Lead for several of the CorePower studios, and another exceptional human. I had the opportunity to be a coach in one of the Teacher Trainings she led, and it was one of the best experiences all around. I greatly enjoy Ali Jo’s classes for their complex simplicity, and her phenomenal cues. She is a young lady with a lovely presence and a generous heart. I used to throw an annual tree trimming party around Christmastime, and I asked people to bring an ornament for the tree. Ali Jo not only brought an ornament, but gifts for my dogs! How cool is that?! She is blessed with a gorgeous beau named Dana (of whom I greatly approve—not that it matters) and a cool bulldog named Joe who I would love to steal from her for a play date with my fur babies… One day. As usual, Ali Jo set my morning off right, and my noon class was exceptionally sweet with focused students and good energy. Then it was off to my afternoon break, where I met Vicki Schmidt at Auntie Em’s Kitchen in Eagle Rock! I only know Auntie Em’s because they have some slammin’ coffee and great bakery items. I had never sampled their lunch items, but I was happy to have the opportunity to do so with Ms. Vicki. As I said in Day 16, Vicki has a special needs son named Jimmy. He is actually an adult, but still needs round the clock care for a variety of ailments. So when Vicki is not working, and able to get nursing help, she finds time to be with her friends, of which I am glad to be counted among them. Vicki attended CCN long before Lynn and I came, but due to needing to care for Jimmy, and her daughter Traci’s illness, she didn’t attend often, so I hadn’t formally met her. For about two years I would hear about this woman named Vicki and her daughter Traci; Traci was often on the prayer list, because she had undergone a bone marrow transplant for a rare lymphoma, and was currently in remission. In my mind, I assumed Vicki was this 30-something mother, and Traci was a little girl. When I finally met Vicki and Traci, I was surprised to find Vicki to be a mature woman in her late 50s, and Traci was the 30-something mother—with kids to boot! We had a good laugh over that. Vicki has been going through a painful and energy-sucking divorce; yet despite that, and the constant ups and downs with Jimmy’s care, she always bears a beautiful smile, a ready hug, and like Dr. Beth, an exceptional listening ear. She’s also incredibly fun and funny, bearing the cutest giggle when something strikes her as humorous. Thankfully the ugly heat wave predicted this week had not hit yet, so we sat outside and knoshed on Quiche and a Pulled Pork Sandwich. It was obvious that we were both exceptionally hungry, as neither one of us took a food picture. In between bites of the really good food, we caught up on our lives and mutually encouraged each other. Vicki is also part of that group of CCN friends who have seen Lynn and I through hell and high water, and she is always faithful to check in on how we are really doing, instead of assuming that just because we don’t have any crises going on that we must be fine. When we decided to split a Strawberry Creme Bread pudding, and the waitress brought it out, it was a sight to behold—so a picture was not only required, it was an imperative! Of course, we smashed that too. Auntie Em’s did not disappoint! Vicki had to get home to Jimmy, and I had to get back to the studio to teach my 5:30 p.m. class; but it was a wonderful completion to a day rich with women of exceptional gifting and generous spirit. A person is fortunate to have one of those in their life, and I am blessed with three. I do not have any children of my own, but I do have grand nieces and nephews; and I mourn for the world we are making for them. Just looking at our two presidential choices lets you know that we lack integrous leaders who can speak to the tragedies we have been facing, and offer an example for our children to look toward. Like cream, Dallas Police Chief David O. Brown has risen to the top. With the recent murders of four Dallas police officers, his handling of the ongoing situation, as well as his honest and forthright assessment of the role of police in society, and being a black man in uniform has been refreshing, transforming, and has set a much needed tone in the conversation of police brutality and urban violence. Another refreshing thing: someone who speaks of God and actually means it. I believe Chief Brown will be a voice in these days of unrest. My prayer is that more leaders like him begin to rise; our nation, and the next generation, desperately needs them. Tags: Community, Death and Dying, Faith, Life, Politics, U.S.A. Categories : 50 Days to 50 Years, Community, Death and Dying, Failure, Faith, Life, This is 50, U.S.A.